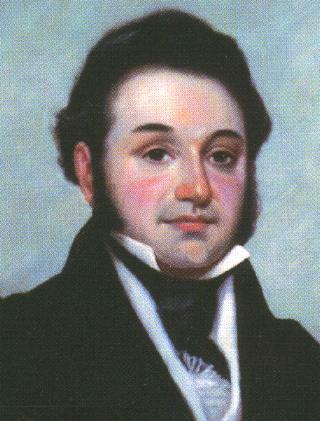 Sáenz, first vice president of the Republic of Texas, the fifth of nine children of Anastasio de Zavala y Velázquez and María Bárbara Sáenz y Castro, was born in the village of Tecoh near Mérida, Yucatán, on October 3, 1788. After graduating from the Tridentine Seminary of San Ildefonso in Mérida in 1807, he founded and edited several newspapers in which he expressed those democratic ideas that were to be the hallmark of his political career, ideas which he continued to advocate while serving as secretary of the city council of Mérida from 1812 until 1814. His support of democratic reforms led to his imprisonment in 1814 in the fortress of San Juan de Ulloa in the harbor of Veracruz, where he gained enough knowledge from reading medical textbooks to qualify him to practice medicine upon his release from prison in 1817. He also taught himself to read English during his imprisonment. After serving as secretary of the provincial assembly of Yucatán in 1820, Zavala went to Madrid in 1821 as a deputy to the Spanish Cortes. Upon his return to Mexico, he joined the leaders of the new nation in establishing a republican government. From 1822 until his death, he was one of the nation’s most active political leaders, representing Yucatán as a deputy in the First and Second Mexican Constituent congresses of 1822 and 1824 and in the Mexican Senate from 1824 to 1826. In the following two years, marked by the internecine struggle between the Federalists and Centralists for control over both national and state governments, Zavala served intermittently as governor of the state of Mexico. When Vicente Ramón Guerrero became president, Zavala was appointed secretary of the treasury and served from April to October 1829. When the Centralist party, led by Vice President Anastacio Bustamante, ousted Guerrero late in the year, Zavala, a strong Federalist, was forced to abandon politics and, after a period of house arrest, to go into exile in June 1830. 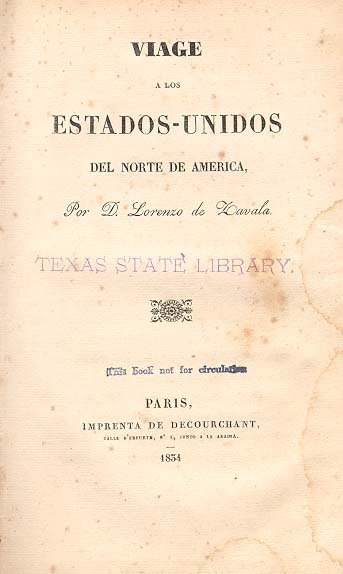 Upon his arrival in New York, Zavala sought to interest eastern capitalists in the empresario grants he had received on March 12, 1829, which authorized him to settle 500 families in a huge tract of land in what is now southeastern Texas. In New York City, in October 1830, he transferred his interest in the grants to the Galveston Bay and Texas Land Company. After spending several months during 1831 in France and England, Zavala resided in New York City until his return to Mexico in the summer of 1832. From December 1832 until October 1833 he again served as governor of the state of Mexico, before returning to the Congress as a deputy for his native state of Yucatán. Named by President Antonio López de Santa Anna in October 1833 to serve as the first minister plenipotentiary of the Mexican legation in Paris, he reported to that post in the spring of 1834. When he learned that Santa Anna had assumed dictatorial powers in April of that year, Zavala denounced his former ally and resigned from his diplomatic assignment. Disregarding Santa Anna’s orders to return to Mexico City, he traveled to New York and then to Texas, where he arrived in July 1835. From the day of his arrival, he was drawn into the political caldron of Texas politics. Although he first advocated the cause of Mexican Federalism, within a few weeks he became an active supporter of the independence movement; he served in the Permanent Council and later as the representative of Harrisburg in the Consultation and the Convention of 1836. Zavala’s legislative, executive, ministerial, and diplomatic experience, together with his education and linguistic ability, uniquely qualified him for the role he was to play in the drafting of the constitution of the Republic of Texas. His advice and counsel earned him the respect of his fellow delegates, who elected him ad interim vice president of the new republic. In the weeks after adjournment of the convention, Zavala rejoined his family at their home at Zavala Point on Buffalo Bayou, from where they fled to Galveston Island as Santa Anna’s army pursued Zavala and other cabinet members across Texas. In accordance with the provisions of the Treaties of Velasco, Zavala was appointed, on May 27, 1836, one of the peace commissioners to accompany Santa Anna to Mexico City, where the general was to attempt to persuade the Mexican authorities to recognize the independence of Texas. The frustration of this plan by certain Texas military units brought an end to the peace commission. Shortly thereafter, Zavala returned to his home in poor health and relinquished his part in the affairs of state. He resigned the vice presidency on October 17, 1836. Less than a month later, soaked and half-frozen by a norther after his rowboat overturned in Buffalo Bayou, he developed pneumonia, to which he succumbed on November 15, 1836. He was buried at his home in a small cemetery plot marked by the state of Texas in 1931. The plot has since sunk into Buffalo Bayou. In the twenty-five years after 1807 when Zavala became politically active, he demonstrated his skills as a writer in uncounted articles and editorials in newspapers in Mérida and Mexico City, and in a large number of pamphlets and memorials. He is best known as an author for his two-volume history of Mexico, which first appeared under the title Ensayo histórico de las revoluciones de México desde 1808 hasta 1830 (Paris and New York, 1831 and 1832), and for his Viage á los Estados-Unidos del Norte de América (Paris, 1834), in which he described economic, political, and social phenomena he observed during his visit to the United States in 1830–31. Zavala’s first wife was Teresa Correa y Correa, whom he married in Yucatán in 1807. They had three children, including Lorenzo, Jr., who served his father in Paris as secretary of legation and, after the battle of San Jacinto, served as translator for Sam Houston in his negotiations with Santa Anna. Zavala’s wife died in the spring of 1831, and he married Emily West (see ZAVALA, EMILY WEST DE), a native of Rensselaer, New York, in New York City on November 12, 1831. To this union were born three children; Augustine, the eldest, was the father of Adina Emilia de Zavala, who long will be remembered for her spirited role in the fight to preserve the Alamo. 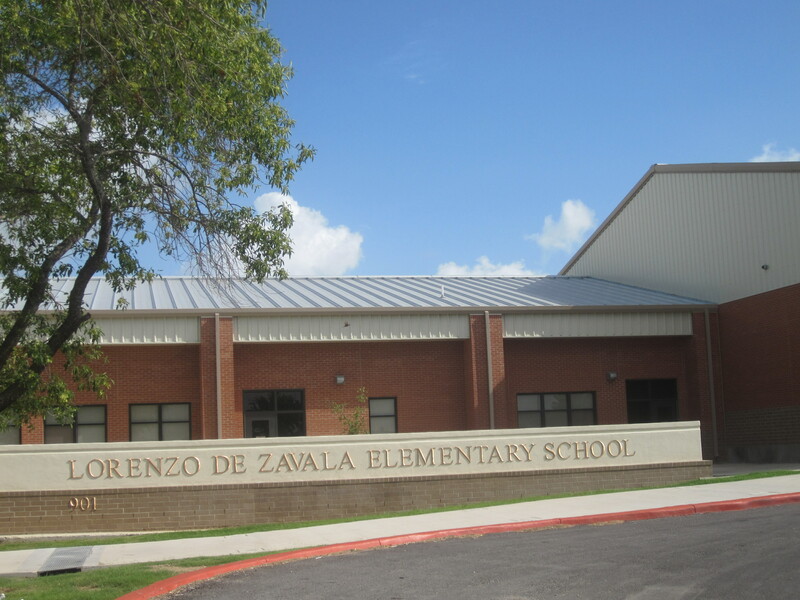 Zavala’s memory is preserved in Texas in a number of place names, notably Zavala County, a village in Jasper County, and a rural settlement in Angelina County, and in numerous street and school names. It is very difficult in today’s environment to find anyone who knows anything of history….especially, Texas! Having been to Me’rida, I found a sense of love for the U. S., modern thought, & knowledge & a love of history. The reason for the three Mexican states in the Yucatan, is the movement for independence from Mexico City, which has been going on for years….a lovely place.